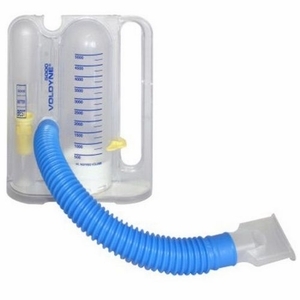 This was one of the tools used to help me learn to breathe better. Recently I have been dealing with medical issues for the very first time in my life. Prior to October, I had NEVER had any surgery or anesthesia. So, to say that having my first surgery a few weeks ago was a monumental event in my life may be an understatement. But through it all, I have learned lots about myself in this journey. The thing that will stay with me for a long time is the lesson to learn to breathe properly. I had just come out of the surgery room and was regaining consciousness after being under the anesthesia. Things were going so well. I thought I could leave in a few minutes. I was so ready to join my family out of that recovery room in order to get on with my healing and life. But the nurses refused to let me leave due to the fact that they found that my oxygen level was lower than what felt healthy or safe to them. Befuddled, I asked the nurse why this was happening. She explained that sometimes after surgery or anesthesia, patients have to relearn how to breathe again. This was sort of funny to me as I had always thought that I was not a good breather as that was my excuse for not liking running, or swimming. However to be told that from the nurse was sort of incredulous as I had NOT even felt any pain or any unhealthiness in my breathing even as I laid on that surgery bed. I really could not tell that I did not have enough oxygen in my lungs. I was so unaware! The nurse’s prescription for me was get me to intentionally take deep breathes and exhale purposefully. (You can see the spirometer that I used to help me breathe better.) She told me that I needed to just relearn to breathe in this way and teach myself how to breathe properly and especially to learn to exhale out. There I was, learning to breathe properly to be healthy. As I was doing the intentional breathing exercises, the Lord reminded me that this was a metaphor of how I usually live out my life. Many things happen in my life (from many changes at work, or loss of loved ones or the reality of living with a new medical normal, etc) and I just take it all in (inhaling it all in) with my survival tendencies. In fact, it is so ingrained in me that I don’t even realize that it is unhealthy and if left unchecked could harm my vital organs. I go on in life, not knowing how to exhale or not being intentional to get it OUT of me. I just get stuck in inhaling mode, but never exhale or processing it out so that I can breathe in a manner that is better for my body. Like many survivors, I just tend to absorb life’s horrifying events and hold my breathe and hope that I can just toughen up to match these crises. But in reality, what can be learned from the body is that we were meant to both inhale and exhale. To be healthy, I cannot just hold my breathe and hope the hardships will go away or just hope that everything will be fine if I just work on it by myself. What is disheartening about how I was breathing is that I was so used to breathing in an unhealthy way that it had become subconscious to me that I was holding my breathe. I have gotten so used to living in an unhealthy way, that I was not able to see that it was harming my breathing or life. So, I had to learn to breathe again. With my life, I am grateful that I have learned that because of my survivor-holding onto my breathe tendencies, that for the rest of my life, I will need to be INTENTIONAL about doing exercises to learn to EXHALE out. After doing the breathe in, breath out exercises, I was able to go home after 2 hours of sorting through this. I too can become healthy through learning to exhale. I am grateful that I am learning to exhale with God and with others. It is teaching me a new way to do life. But I have to keep on being intentional to find friends and places to safely exhale out life’s many challenges in gracious and safe spaces. Or else, it will be as if I go on living my life holding on to my breathe! That is very unhealthy and not the way God meant for me to live. I want to breathe or live healthier. What about you? How do you process life’s curve-balls along your way? What has helped you? Have you set aside intentional efforts to learn to exhale outward? Who are your friends or community that can teach you to learn to exhale? I was much encouraged by my visit to San Diego last weekend. The CEC church is a great church where God is blessing the congregation with some great leadership, be it Mandarin, Cantonese or English speaking. I loved seeing how the Senior Pastor taught in English. But more so, that the entire church is being influenced greatly by the pastor’s heart. I loved listening to the Cantonese pastor’s wife talk humbly about grace and true guilt and false guilt. I loved seeing a Chinese American church having small groups to discuss the topic of : Life’s Healing Choices. God is at work! After seeing this, I am more excited than ever before about what we are seeking to do in Epic National. We are all seeking to do what is best in shepherding our people and in shepherding some of the Asian American cultural realities. It makes me want to partner more with the various AA churches. I am very humble by how God is choosing to work in our generation. Very FUN! In chatting with my ministry sponsors and supporters recently, I have been hit with how faith is a very mysterious thing. Faith is the assurance of things hoped for and yet, unseen. That is what we know from the Word of God. But really what does that mean? I think faith is very much an intangible and yet, very tangible thing that we must nourish. In trusting God for my own financial situations and life, I have learned over and over again how we so often trust other things without realizing it. “Afaith” (I made up a word? ): faith that is not typical of what it is and yet, seems more neutral. I believe “afaith” creeps into our souls very very easily and without much fight from us. I have seen how faith must be nurtured, planted and built up like our muscles. I have learned that in order for me to grow in my faith, I must be diligent and diligent in grace and truth to live that kind of faith. Even when I don’t like something, I must pursue and pursue. This is also very true when we think of the spiritual realm; that those who desire to live godly lives will be persecuted by the Enemy of our souls. My growth lesson is that I tend to want to give up too soon whenever I find resistance. I almost always want to defer to others to do the calling or job rather than rolling up my sleeves and going after it all with God. I am learning that to practice faith, I must build up my endurance muscle. I had thought I was good at this. I think I have been good enough; but not quite the extent. The Lord is teaching me that I cannot live my life with good enough. But that he desires for me to be vigilant about preserving and keeping my faith in Him. He wants me to overcome with faith in Him even when many obstacles are found. This is the work of the Holy Spirit to continue to trust Him for our lives like that. To let Him give us faith while we are persistent to keeping faith in Him. unsettling to think about how devout Christians who serve God and his church are seeking divorce and running away from their families. In the last 3 years, I can name 3 of those cases of the wife running off to be with another man while forsaking their families. It grieves me alot to see this trend. It makes me wonder if these women (who were involved in various campus ministries in the past) were mentored to handle such challenges as their hearts, fears, disappointments and emotions. I makes me very sad to realize that I could have been a part of what drove them to this. I don’t fully fault myself; just want to be learning from these incidents. When I look back at how I used to do ministry to AA’s, I do not think it was contextualized to deal with their deeper core issues. I know that I did not only focuse on skils; I recalled talking alot about the heart. But I do not think that my early years at Michigan, Milwaukee or Metamorphosis displayed ministries of the soul. I know this for I was not fully there myself. I could not have taken these women somewhere where I had not been myself. So, all I can do now is pray for these women and their families. It does however motivate me to continue to minister differently with Epic. I want to help our students and staff be built up in healthy discipleship so that the above trend would happen less and less. If I could do it all over again, I would.. Spend more time looking at their family of origin and deal with their father and mother wounds. I would teach them to truly grow up as an adult emotinally, and spiritually. I would teach them to feel, to live and be comfortable with emotions and feelings. I would teach them to deal with disappointments and losses. I would teach them to find their voice, and to find dignity in their worth. I would live out a healthy community of grace and truth, one where confession is the norm. I would teach them how to fail well without shaming themselves to death. I would teach them to know how deeply loved they are. I would teach them to deal with shame head on! And to deal with their cultural baggage. I would teach them to also value AA cultural values, not just bag on AA values in general. I would teach them to play and rest and enjoy life and not just survive it. I would pray for God to heal them more. I would pray for our ministry to model a community of grace, truth, and love, where failure is not the end of relationships. I would teach them to deal with conflicts in a healthy way. I would love them more! I would pray to Jesus to break the bondages that are there in all of our souls. I am really gun shy or almost afraid of anything that minimizes power displays and realities. Having lived most of my life surviving so well as a minority, it is now my turn to truly live and not survive. No longer do I want to minimize my feelings, hurts, dreams and fears away. But instead, I want to feel it all without making excuses for those who may not understand or worse yet, for those who must truncate my emotions in order to avoid what my feelings may infer about them. In these last few months, I am so aware of the degrees of pain that I have had shuffled under the table for the sake of harmony , and some times for the sake of spirituality. As I continue to listen to other minorities’ stories, I also get absorbed into their dismays which causes me to relive mine. It has been an emotional journey that has caught me by surprise. It is at times so frightening or so charged that I wonder about the power that it has over me. For now, I am not comfortable with being myself. I am gun shy! For now, I think I need to live and stay in the pain before I move on too quickly which is my past defense mechanism for survival. What I need is to truly live and feel all of this with God and let him speak to my uneasy self. This summer, I was blown away by 2 compliments that came my way. They both came at me in a nice surprising way. And I was very much taken aback by both of them. As you can surmise, this summer was exciting yet humbling for me. It was a summer in which I felt I had to desperately seek others to help me sort through some deep emotional turmoil. (Read my previous blog about my humbling summer.) So, when one of our students wrote a thank you card to me…I was a bit insulted at first by her remarks. She mentioned the usual things that one says to enccourage a mentor : God used you to help her grow; You were an example of faith, etc. But then, she made this comment: ” I learned grace from you and you modeled this for me and us. You are one of the best at failing well.” At first, I was a bit shocked or disturbed by that comment; it is not something that anyone has ever said to me. Then, it hit me that this was what I wanted and prayed for esp. in light of ministering to Asian Americans who often times do not ever fail or fail well. It dawned on me that she had given me a compliment or encouragement that was the nicest thing anyone has ever said to me especially in this context. To me, it should be one of our goals as ministers for the AA community: That our lives would be examples of those who live out grace, and those who can fail well and teach others to do the same. The second compliment came while I was having breakfast with a staff and her husband who is not in our circle of service but is very supportive of his wife. We had a great time fellowshipping over good food. As he shared his experiences in ministry, he also went on to share with me his outside perspective on our Epic National Staff Conf that took place a few days prior to our breakfast. He described similar things that I would expect from others: our conf. was modelled by vulnerabilty and honesty which he loved; engaging content that was visionary. It was rather encouraging and the usual suspect. However, I dropped my jaw when he said his final statement: Well, the most important thing that I felt from your national leadership in general that was different than other Christian leadership context was this: You all live out and showcased Servant Leadership. When he said this, I was speechless. I felt like he read a page out of our Epic National LD team’s notes and values and just recited back verbatim. It was indeed the kindest compliment that I think that one can ever receive in ministry: to live out servant leadership. For indeed, it is one thing to lead and yet another to be known for servant leadership like Jesus live out. I pondered on his statement for days. These 2 compliments certainly put things into perspective for me. They blew me away and emphatically guided me back to some of the truest values that I want to live out as a minister in the AA community. I feel that these compliments have given me my compass for ministry with AA’s. Standing on the steps of the Michigan Student Union, my life was first changed. It was there that I first fell in love with the idea of serving community, others and even for our country. That was the year where I began to learn about my own Asian American journey and our AA community. It was there that I became angry at the injustices done to ethnic Americans in these United States of America. The next year as a Sophomore, I founded the Asian American Association and began encouraging our members in self expression and to participate in community service and politics on campus and beyond. It was an exciting time to see how my one little life could effect change for our community. I fell in love with service hook line and sinker! Two years later when I began to grow spiritually, I also got involved in making a difference for God and our Asian American student community. It was phenomenal to see how little seeds of service can grow to touch so many’s lives, including my own. God was at work in our community! As I have recently reflected over my college career, I truly see how God used men like the Kennedys to change my destiny. As the country and the world mourn for the death of the last of the Kennedy brothers, I too have been very affected by this loss. Though I have never met these Kennedys and I have not always agreed with their rhetoric or politics, I have been greatly influenced by them. I indeed have been shaped by their way of life of public service. And for that, I am very grateful! I feel that they were the ones that tilled the soil of my heart and soul for a life of service for God. So, their legacy will continue in my life every time I choose to serve others, serve our community or God’s community. Today, I weep for the joy of a life well lived and for the hope to do the same in my life according to God’s will. ” Ask not what your country can do for you, but what you can do for your country.” President John F. Kennedy said on the steps of the Univ. of Michigan student union. “Some believe there is nothing one man or one woman can do against the enormous array of the world’s ills. Yet many of the world’s great movements, of thought and action, have flowed from the work of a single man. A young monk began the Protestant reformation; a young general extended an empire from Macedonia to the borders of the earth; a young woman reclaimed the territory of France; and it was a young Italian explorer who discovered the New World, and the 32 year-old Thomas Jefferson who [pro]claimed that “all men are created equal.”Ted Kennedy’s eulogy at Robert Kennedy’s funeral. ” To whom much is given, much is required” From the Gospel of Luke. As a Sophomore, I heard the cry to make a difference and that my small life can make a difference for the community. I saw the lack of something and I wanted to alter that sad reality even if no one would join me. As a senior in college, being active in a conservative Christian club was good for my spirituality; but at times offensive for my cultural awareness as an AA. There were times when I would sit at these meetings and wonder if I fit or if I could stand the prejudices of these well meaning Christians. There were times that I wanted to quit. But I think the call of God and the sentiments of these men and others reverberated in my soul to stay. To stay only as a means of changing things for the better for others and for the future. So stay I did. And I am glad for after 26 years I am still serving with that same organization seeking change for the better for God’s community. “The work begins anew. The hope rises again. And the dream lives on.” Ted Kennedy at the DNC 2008. So, I wake up in a new day and I carry the torch to make a difference in this world for God and for the community. I carry on and pass that on as it has been passed on to me by men I have never met. It was a summer mixed with joys and pains and struggles. We were at the end of it and were playing a game to recollect and celebrate our summer together as a missional team in San Fran. One of our female students and female staff had designed a fun game using trivia about our project. It ranged from things like: How many birthdays did we celebrate this summer? Into more serious questions about who is who on our project. It was definitely an insider’s game of trivia. Very clever game indeed to celebrate with. They did a great job with it. At first, the students were contemplating…and were not sure and discussing this briefly for a short minute or so. I sat there almost sweating. I was telling myself: “THIS IS IT”. What will these students say? or even staff? Will they say: It was Margaret. She is the woman and she was the Assistant Project Director or Associate Proj. Dir. I was squirming in my seat and praying for the best and even bracing myself for fear of disappointment. You see, in some Christian and/or Asian American settings, women can only be associates or assistants, and not leaders in their own rights. We in Epic have made it clear that our Proj Directors were both co leaders together and not fixed by gender. That is our value. However, values are only as good as how people really perceive it to be. In that moment, I remember saying to God: “Well, this is the moment of truth. Did we or did we not really teach them and showcase to them that men and women both lead out of their own strengths and that one is not lesser than the other.” I was praying and hoping that they would get the correct answer. This was also very impactful for me as I knew of our women’s stories of past pains in sometimes being a woman and/or woman leader. So, if these women who designed the game said the wrong answer, it would have been very sad for me to realize that we had failed in living out our values in front of them or that they did not catch these. I breathed a huge sigh of relief. And it was only after a day or so that I realised that this moment of truth helped me see that God had indeed worked on our project. The men and women there were living out our values of empowering men and women to lead. I was so grateful for that. It could have looked very different! But God really allowed us to live that out the blessed alliance of men and women leading together for God’s glory. I was so blessed to be a part of that. This summer afforded me a great privilege of living with AA students and staff. I was so grateful for that. It brought to mind for me how challenging spiritual transformation is within our AA community. I was very aware of how difficult it really is to assist others in their spiritual growth esp. in light of our AA realities. Given all of our AA cultural challenges, growing in Christ really looks so different than other settings. As a result of my summer with our staff and students, I became even more grateful for our staff on the field on campuses who labor day in and day out for God to use them to influence young men and women for Christ. I was very humble in this process. One of the things that I became convinced of was that we in Christian service must figure out how we can make plain and simple the reality of living in a community of grace. I saw the power of a graceful community and its power to change us. But I also saw how this kind of environment does not come easily and must be a product of much prayer and intentionality. I was blessed to see this kind of power and community. In light of our AA communities penchant to stay in darkness or shame, it was such a healing balm for us to experience sharing about the hidden pains and hurts and sins of our past. It was powerful to see the healing power of confession, forgiveness and grace given to each other in community.